V Španiji se s prvim mednarodnim footgolf turnirjem pričenja nova sezona Prvenstva Europa pod okriljem Evropske Footgolf Zveze EFGF. Sezona 2015/2016 se pričenja s prvim turnirjem v Madridu med 24. in 25. oktobrom na igrišču Palomarejos Golf. Koledar turnirjev sezone 2015/16 se bo sproti dopolnjeval. Rezultati treh najboljših uvrstitev v sezoni se štejejo za skupno lestvico posameznika medtem, ko se za nacionalno ekipno uvrstitev štejejo vsi rezultati. Finale bo junija 2016 zopet gostila Slovenija. Če želi kateri od slovenskih igralcev nastopati na turnirju naj nas prosim kontaktira za več informacij. The 1st stage of 2015-16 FOOTGOLF EUROPA CHAMPIONSHIP will take place in Spain at the beautiful golf course in Castilla – La Mancha, at PALOMAREJOS GOLF. Footgolf Europa Champioship tournaments consist of the tournaments throughout the 2015/2016 season, with the final one taking place in June 2016. The calendar will be constantly updated. Best 3 results counts regardless of a number of tournaments. MAJOR means that points in ranking are higher than on ordinary tournaments. They are multiplied by factor. 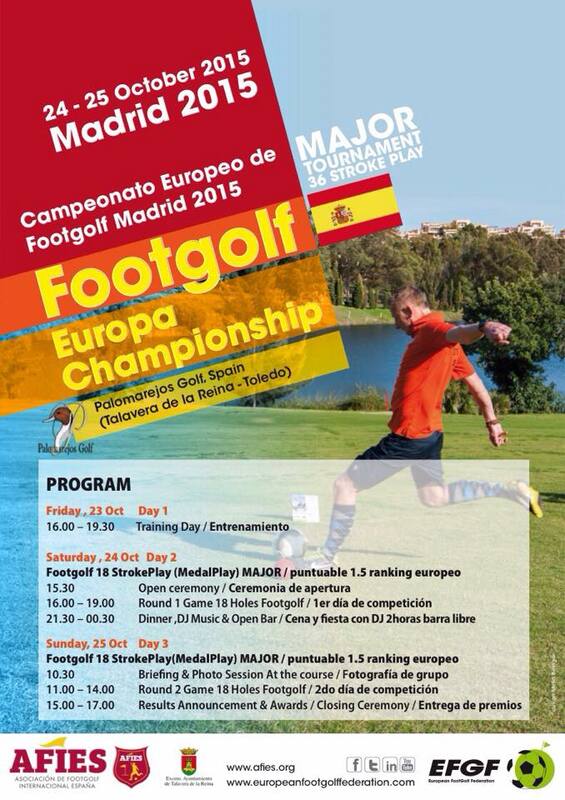 Footgolf Europa Championship Madrid 2015 Spain 23-25 October. Major. Footgolf Europa Championship Valencia 2016 Valencia Spain 11-13 March. Major. footgolf Europa Championship Finals 2016 Slovenia, 10-12 June. Major. Footgolf Europa Cup Torino 2016, 8-10 July. 15.00 – 17.00 Results Announcement & Awards / Closing Ceremony At the course. 3 best individual man and best individual woman overall. 3 best national teams – the best 4 individual scores from participating nations. Footgolf hotel BE LIVE Talavera 4*: Ask for special offer (double room & breakfast & parking) . Distance to the golf course: 4,6 km (6 min) . Footgolf hotel BE LIVE Madrid 4*: Ask for special offer (double room & breakfast, no parking). Transport to/from Madrid airport will be managed by the organizers if the players come in groups. In the case of individuals traveling, organizers will give the best information possible regarding price and timetable and how, where and when to take public transport or taxis. Please contact organizers regarding your arrival timetable as soon as possible. Dress code for the photo session is the official National Team Footgolf kit. The official polo is included in the green fee. 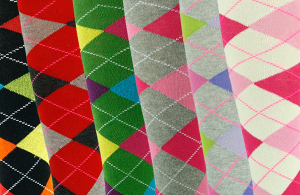 Astro turf or football indoor shoes, diamond knee socks (Argyle) or football socks, bermuda style shorts, polo shirt, sleeveless pullover and a flat cap.